Last Saturday for Valentine's Day, the Cleveland Skeptics and the Cleveland Freethinkers commemorated Darwin Day (February 12) with a trip to the Cleveland Museum of Natural History and to see a one-man play by Professor Floyd Sandford reviewing the life of Charles Darwin. We loved the museum so much they had to flip the lights and then ask us to leave so they could lock the doors. Onward from there, many of us went to Mi Pueblo on Euclid Ave. near E. 117th where the Mexican food was not your typical American-Mexican. Thanks so much to everyone who came and made this a fantastic event with the largest turn-out ever! 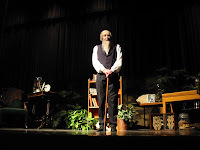 Floyd Sandford as Charles Darwin in "Darwin Remembers". A representation of the great flood? Mark portrays the angry Young Earth Creationist. do some birding while at the museum. There are many more pictures at the Cleveland Skeptic's photo album and the Cleveland Freethinker's photo album. To RSVP for a Cleveland Skeptics event go to our meetup.com page, or likewise, to RSVP for a Cleveland Freethinkers event go here. Can you buy stock in psychics? The housing crisis will deepen, the country could fall into a depression and laid-off workers may need to start their own business. If this sounds like the advice of a financial planner or an economist, think again. It's a reading from psychic medium Roxanne Usleman. "The biggest reason people are going to see psychics is probably that they want to feel in control," says Johar, who studies consumer behavior. January's Drinking Skeptically was beyond a success! 23 skeptics joined together at the Willoughby Brewing Company for good food, great beer, and wonderful company and conversation! After dinner was over, the truly dedicated headed off through the cold streets of downtown Willoughby to a warm Arabica's for a little post drinking coffee and snacks. When the Arabica's closed, the die-hard skeptics headed off to another pub, 1899, where we found a cozy little corner upstairs with some big comfy couches and of course, more drinks. 23 skeptics at our third Drinking Skeptically! draft microbrews vs. American staple Miller Lite. The new rap sensation - "GiGi and Scottero" perform The Bible Thump!!!! Beyond a doubt, Josh is the happiest skeptic we know! 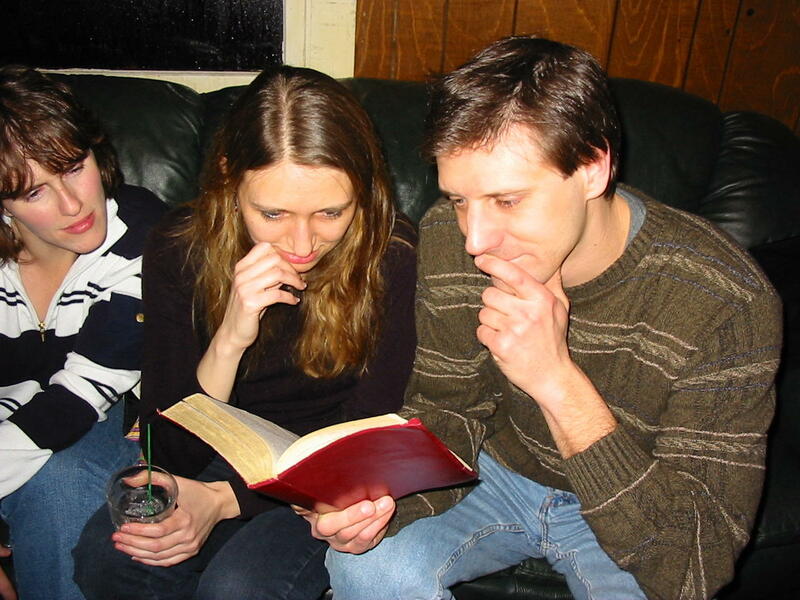 Marni, Ginger and Scott pondering a passage from Deuteronomy. Here are the rest of the photos. 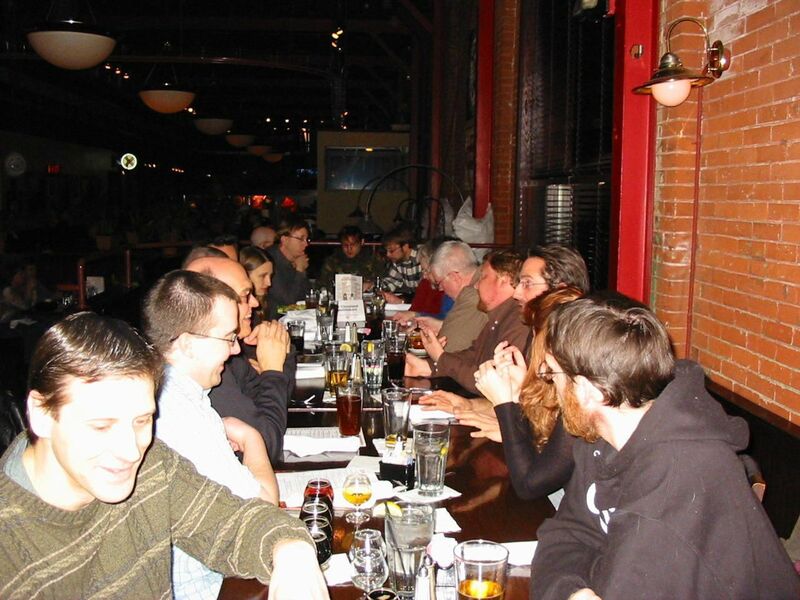 The Cleveland Skeptics are a part of the national Drinking Skeptically network. 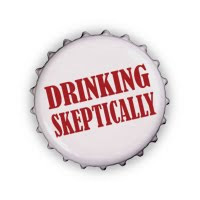 Drinking Skeptically is, "an informal social event designed to promote fellowship and networking among skeptics, critical-thinkers, and like-minded individuals." 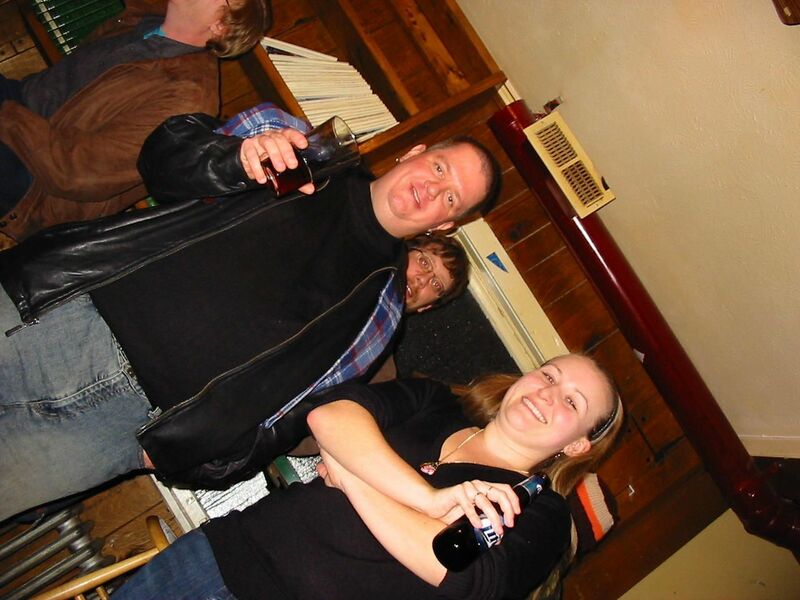 Drinking Skeptically is a casual monthly get together where drinkers and non-drinkers alike can kick back at the bar and feel free to have a drink or two. If you would like to attend a Cleveland Drinking Skeptically or any Cleveland Skeptics event, please go to our meetup.com page. "There is a single light of science, and to brighten it anywhere is to brighten it everywhere." Since 2008, The Cleveland Skeptics has hosted over 200 events. Our members have been making friends, learning, challenging and being challenged with people who like to examine commonly held ideas and beliefs with a scientific eye. Log into meetup.com to join The Cleveland Skeptics. You will receive notices for new events and be able to RSVP for events. Occasional trips to New Age fairs with "New Age Bingo"
Miscellaneous good times such as bowling, hikes, science fairs, playhouse square, etc. You can also join the discussion on Facebook. We want to build a positive experience for everyone. Proud Members of Drinking Skeptically!